The story of Simple Agi Ondh Love Story is one familiar from a number of Hollywood romances, but it gets a new treatment here from director Suni. He’s stuck to a minimal cast and limited shooting locations but included riddle-like dialogues and snappy comebacks to add interest to the screenplay. 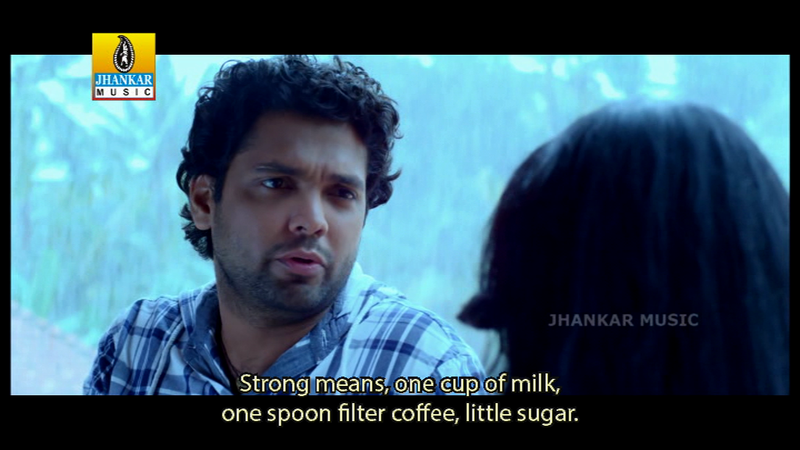 The film describes a romance between Kushal (Rakshit Shetty) and Kushi (Shwetha Srivatsav) with the narrative taking place one wet monsoon day when the two first meet. It’s a slow-paced film which does drag somewhat in the middle, but is redeemed by a good beginning and an excellent ending. 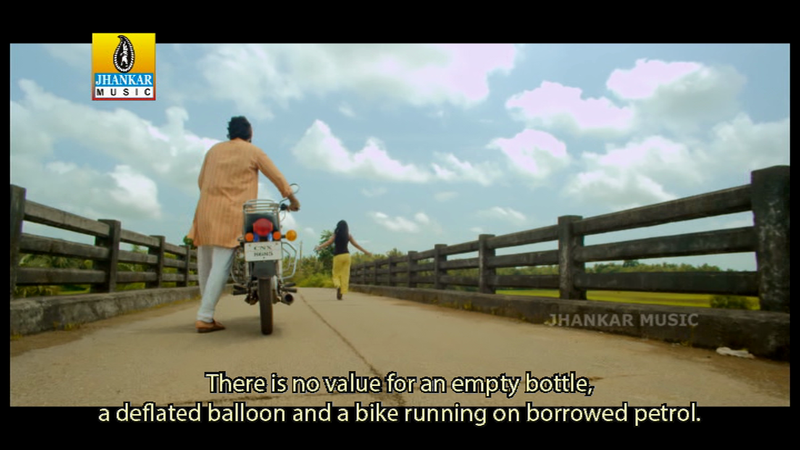 Not a film for everyone perhaps, but worth a look as an example of new, independent cinema in Karnataka that seems to be just a little bit quirky. 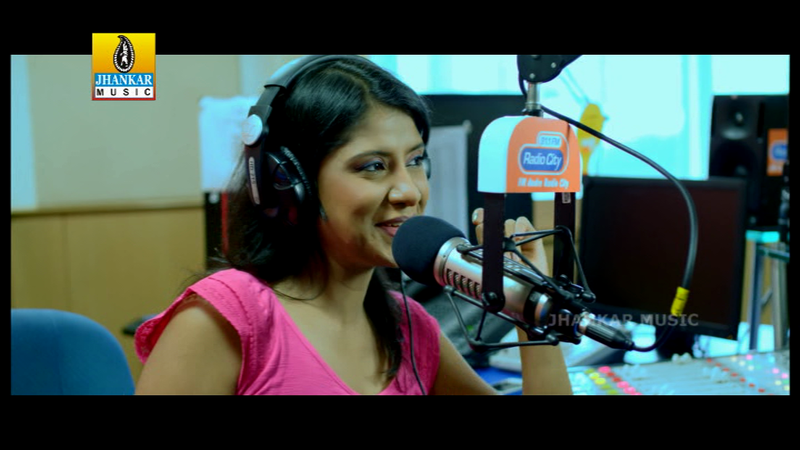 The film starts with an RJ Rachna (Rachana) telling her audience a story about her brother Kushal. He is off to Kodagu area in Coorg to meet Rachna’s fiancé’s sister Ithihasini. The hope is that a romance might blossom between the two since Rachna feels she cannot go ahead and get married while her brother is still unattached. I cannot imagine that her listeners would have been in any way interested in the story, particularly since she annoyingly starts each sentence with ‘Actually…’, but as a method of introducing the actors it works well. 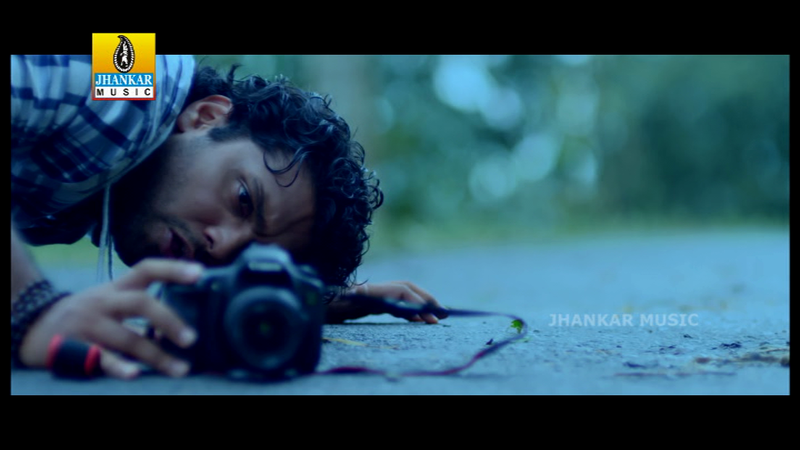 Kushal directs advertising films and is also a keen photographer, so his interest is drawn when he sees a girl out in the monsoon rain taking photographs. Naturally when he turns up at the house to meet Ithihasini, she turns out to be the girl he has seen in the rain, and just to keep the clichés going he immediately decides then and there that he has found the girl for him. However unusually then the two are left to their own devices for most of the rest of the film. Rachna has called Ithihasini to let her know that Kushal will be there, but the rest of the family have gone to visit a temple for the weekend, leaving Ithihasini to entertain Kushal by herself. There is a lot of fast banter between the two as Ithihasini quizzes Kushal about his reasons for wanting to meet her and Kushal tries to get past Ithihasini’s evasions when asked about herself. The dialogues often seem in the form of brain-teasers, or maybe they appear as strange questions due to the subtitling, but Suni seems to mix old-fashioned similes and sayings with modern speech giving a rather more unusual dialogue. It sometimes makes the interactions between the two difficult to understand and I found I had to pause the film to re-read some of the subtitles to get a clearer sense of what the characters were trying to say. As a way to get to know each other, the two share their previous love stories, which are shown in the form of flashback episodes. However the same actors play the roles of each other’s previous partners in these flashbacks which backfires to some extent as the film becomes monotone and flat as a result. There is little differentiation between the characters as they are themselves and their appearance as the ‘ex’. 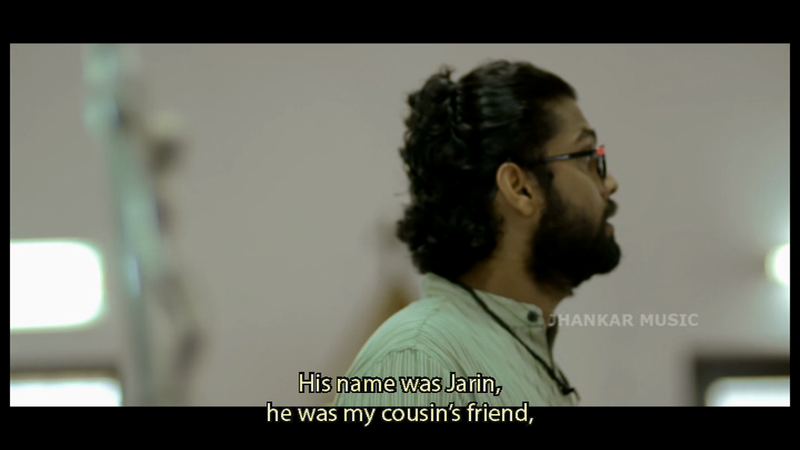 Although there is some attempt to make them at least appear different – Jarin for example has long hair (complete with manband) and a beard compared to Kushal’s short hair and shaven chin, the personalities appear identical and the dialogue retains the riddle pattern, adding to the similarity. The love stories themselves are also rather dull, although the dialogue is often quite funny and the few songs do help lift the mood. However, by the end of the flashback sequences Kushal seems a bit of a wimp and Ithihasini appears even more immature and irritating than before. Ithihasini’s actions seem a little odd and her responses to Kushal’s questions all avoid direct answers so it’s not really a surprise when Kushal’s sister calls to tell him that the girl he has been spending time with is not Ithihasini at all. 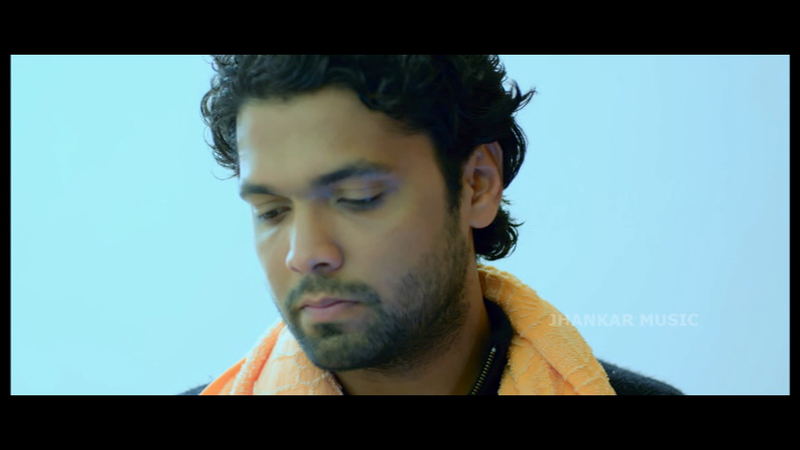 When confronted the fake Ithihasini comes up with a number of different stories, but Kushal finds her even more intriguing as a result and declares his love for her despite not knowing who she actually is, although he does finally discover her real name is Kushi. The final part of the film is better, adding suspense with the mystery around Kushi and the reasons for her confusing actions. The end has a surprising twist and makes up for the dreary middle section, particularly as both actors finally begin to react more to each other in a more natural way. There is genuine emotion and the overly complicated dialogue is replaced by more spontaneous sounding exchange. The different approach gives the ending more impact and made me wish there had been more of this honesty and emotion earlier in the film. For new actors, Rakshit Shetty and Shwetha Srivatsav do a good job with their roles, particularly given that the action focuses solely on just them for most of the film. Shwetha’s Kushi is particularly irritating at times, which I think is the whole point, and does provide a good contrast to Rakshit’s more sensible Kushal. Shwetha does however come into her own into the last scene and also has some great facial expressions throughout the film. Rakshit has a little more to work with earlier in the film and is also excellent in those moments where he has to show more emotion. Although most of the film is shot in the same house with the ever-present monsoon, cinematographer Manohar Joshi captures the different moods of the rain and the subtle changes in lighting well. There is also a good contrast in the romance between Kushi and Jarin which is set on the beach in the summer and is a pleasant change from all the rain. What I like about Simple Agi Ondh Love Story is that’s an attempt at something a bit different. The decision to use minimal locations and only a few actors may possibly have been driven by budget considerations, but it does keep the story simple and focus attention on the dialogue. A little more editing in the flashback sequences would have helped but overall I enjoyed the romance and liked the characters. 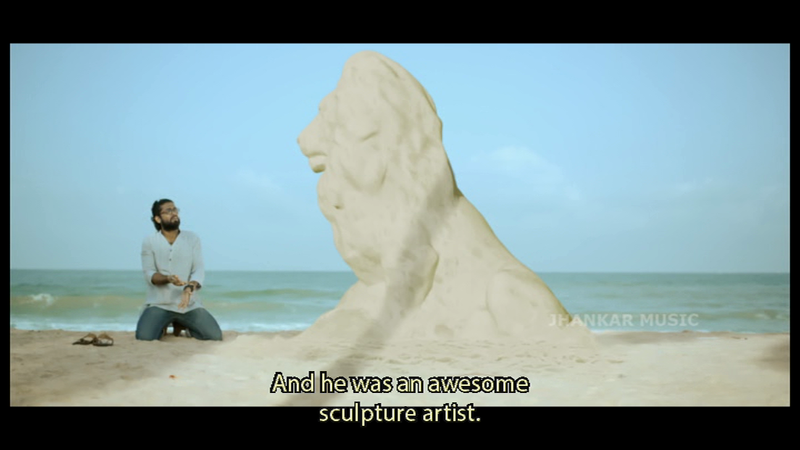 Simple Agi Ondh Love Story is an unusual style of film that is definitely worth a watch provided you are a fan of the romance genre and don’t mind a minimalist approach. 3 stars. This entry was posted in Sandalwood and tagged Kannada, Manohar Joshi, Rachana, Rakshit Shetty, Shwetha Srivatsav, Simpallaag Ond Love Story, Simple Agi Ondh Love Story, Suni. Bookmark the permalink. Could you review Rangi Taranga please? Thank You for your reply, Heather. I apologize for mistaking that you lived in the US. And just discovered that there is an encore show of Rangitaranga here on Saturday so am going to try and catch that.